body, which appears with startling frequency. 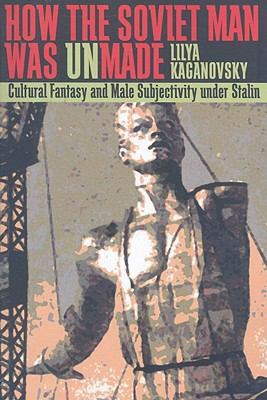 Kaganovsky views this representation as a thinly veiled statement about the emasculated male condition during the Stalinist era. Because the communist state was ldquo;full of heroes,rdquo; a man could only truly distinguish himself and attain hero status through bodily sacrifice-yet in his wounding, he was forever reminded that he would be limited in what he could achieve, and was expected to remain in a state of continued subservience to Stalin and the party. Kaganovsky provides an insightful reevaluation of classic works of the period, including the novels of Nikolai Ostrovskii (How Steel Was Tempered) and Boris Polevoi (A Story About a Real Man), and films such as Ivan Pyr'ev'sThe Party Card, Eduard Pentslin'sThe Fighter Pilots, and Mikhail Chiaureli'sThe Fall of Berlin, among others. The symbolism of wounding and dismemberment in these works acts as a fissure in the facade of Stalinist cultural production through which we can view the consequences of historic and political trauma.